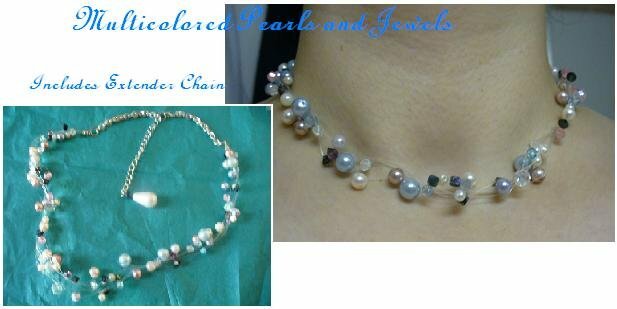 This elegant piece features a variety of different pearls and jewels strung on clear cord so it looks as though they're floating in the air. 17" long. White pearl drop to end the extender chain, which makes it 22 1/2" long.